Work disability refers to the loss of some or all functional work ability and activity consequent to impairment. While a mental health condition alone can have a direct impact on the ability of an employee to remain in the workplace, there are usually other factors that will also affect that outcome. 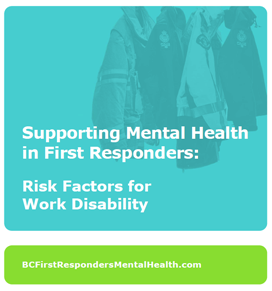 These are risk factors for work disability — health, personal, and environmental factors that can negatively affect an employee’s ability to remain in or return to the workplace.